Bethel Park HS Black Hawks - TRBLL Champions for 2019! Congratulations to our TRBLL inaugural season champions - the Bethel Park HS Black Hawks!! 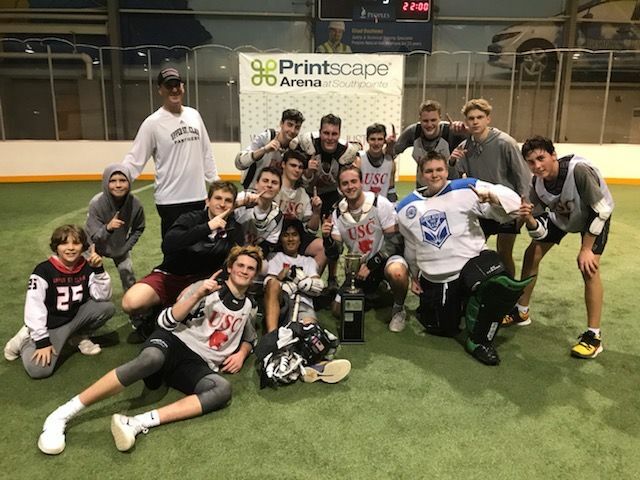 The Black Hawks captured the TRBLL HS Championship by defeating the Upper St. Clair HS Panthers in a thrilling final game 8 - 6. BP ended with a record of 5-0, and were the only unbeaten team in the league. They spent all five weeks in first place and led the league in goals (44) and goals allowed (29). Congratulations to Coach Tim Schreiber and his boys!! Looking forward to TRBLL 2020!! Please if your HS team would like to participate in the TRBLL 2020 season beginning January 13, 2020 at the PrintScape Arena at Southpointe.